The 5th edition of the annual Hospitality and Food exhibition, Horeca Kuwait, has successfully grown in popularity over the years, devoted to showcasing the latest innovations and concepts in Food & Beverage, embracing gastronomic talents and creativity, and revealing the most recent trends and progress in the country’s hospitality sector. Bringing together an array of local and international exhibitors, the event drew in a great number of chefs from across the region, who successfully put Kuwait on the culinary map once more! Since 2015, the exhibition has risen from 190 participants to over 250 this year, consisting of local and international exhibitors, elaborate food displays, and a great number of chefs from all over region. “Five years ago, we started Horeca in Kuwait with only 35 exhibitors and less than 100 participants in the food contests. Today, we have over 60 exhibitors and sponsors, and over 250 participants in the competition, as well as over 6, 000 visitors,” says Mohammed Najia, General secretary for Kuwait Hotel owner Association and the Director for Horeca Organization Committee and Delegue of Chaine des Rotisseurs. The types of exhibitors included the best from regional and international restaurant and hospitality suppliers, manufacturers, food and drink producers, and catering equipment. Najia added that people have expressed great interest in the field of hospitality, which is growing tremendously at a fast pace in Kuwait. “For Kuwait, this means there is a sector that is emerging which can aid economic growth. There is a need to showcase what is in that sector. Hospitality is a lifestyle, after all,” he continues. With each new edition, Horeca Kuwait has showcased quality products, innovative branding design concepts, and consumer engagement techniques that tell a unique brand story and create a lasting impression with attendees. Marketing Manager of Al Yasra foods and golden sponsor for the third consecutive year, Gebran Charbine has witnessed an increasing number of visitors and many new innovative specialty items, in addition to easy-solution products for chefs, purchasers, managers, and restaurant owners. “I see a lot of creativity inputted this year, especially the booths and this can help attract the right market for your brand,” he says. Gebran further conveys that for Kuwait, this means that there is a growing business in the food & beverage and hospitality sector that can drive to bring in tourism and expand the country as one of the global leaders in the hospitality industry. The live culinary show reveals some of the very best talents in the country’s gastronomy scene encompassing new culinary horizon. Joining to participate in the live culinary show for a panel of nine international culinary judges from Italy, Germany, France, Lebanon, KSA, and Egypt, chefs from around Kuwait enter the highly equipped kitchens where they passionately work to surprise the expert judges with their savoire-faire as viewers cheer them on. Samaan Hilaal, Culinary Consultant of MCC Catering and Head of the Culinary Show expressed, “I am pleased to see how much the exhibition has developed, especially the growing number of category specialists and international judges of such high caliber and professional experience,” For a small country like Kuwait, Hilaal emphasized that he is impressed to see Horeca Kuwait growing and imposing a mark on the international culinary world with each new edition. Chef Lucien Veillet, President of Academie Nationale De La Cuisine in France says, “I am here to support my colleagues in this mission and to support hospitality services in promoting exceptional cuisine. This is my first visit to Kuwait and I am surprised by the culinary techniques and mastery.” He continues, “My favorite has been the ice carving contest which made a very professional statement and it was impressive to see them in action. Additionally, the six-course competition was incredible. It was an interesting product exchange between chefs and I enjoyed the spirit of the exhibition.” Lucien concluded by saying that it would be a great pleasure to see the continuous progress in the next edition of Horeca Kuwait. Lorenzo Cogo, an Italian chef from a small village called Marano Vicentino near Venice, and the first youngest owner of a one Michelin Star restaurant called EL COQ, remarked, “As a newcomer to the region, I find it a very interesting platform where I had acquired a good understanding of the standard and style of the food here and the opportunity to delve into the ingredients and culture. “I hope to infuse my experience here in to my cooking style back home,” he continued. Akiki conveyed his surprise by the level of dishes coming out, especially the live meat show and sushi competition. He foresees that local chefs will have the opportunity to join the global judges one day and hopes that the show grows to become even more international. Each dish was an outstanding expression of innovation where each plate was transformed into a surprisingly inventive work of art. Chef Tareq was impressed by the chefs’ creativity to think outside the box, reinventing gastronomy in unconventional ways and coming up with new dimensions of plating dishes. He adds that the annual event is essential to Kuwait for renewing business relationships and creating invaluable relationships. If one thing is clear, the events have given exposure to the quality of Kuwait’s developing hospitality and tourism sector, strengthening the country’s position in the international culinary world. 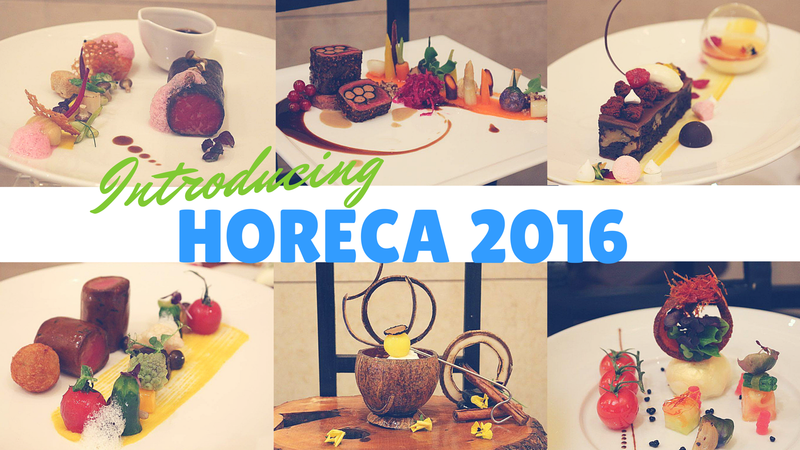 Horeca Kuwait continues to roll out new editions where creativity and ideas come to life, further leveraging the platform to enhance experiences in the ever-evolving food & hospitality industry.